I have been on many 747 flights, in various version of the machine. On one of the very late United 747 flights from Sydney to west coast one of the dunny doors fell off the hinges mid way, not above Midway though. More like Fiji. One of the rotund male staff on board did manage the operational repairs necessary. Another in the last week of United 747 flights on that route was chockers with customers because another had been cancelled because of a failure before it depart US on the outward journey. Deemed not worth repairing when it has less than two weeks' service remaining. The United meal trays were the silliest I have seen on any airline. They had two levels n the bottom with no vertical piece between them, and posts under the high side to sit it on the tray table. You could not rotate the tray on the table to make it place different things at the front, and spills on it would leak onto the table. And even United did not use them on any other plane I travelled on. They could have at least just tossed them when they broke and replaced them with normal ones, but that kind of idea seems too hard for big US companies. And for all of you worried about landing 747 on short strips, check the Qantas 747 at Longreach airport in central Queensland. To land it there they took out all the removable stuff which was later shipped in a truck and refitted to make the museum exhibit. And they flew an absolute minimum fuel flight to avoid unnecessary mass on board when landing. I think there was not enough on board for a go round, by flight plan decision. I gave up gaming after Frogger and never looked back. 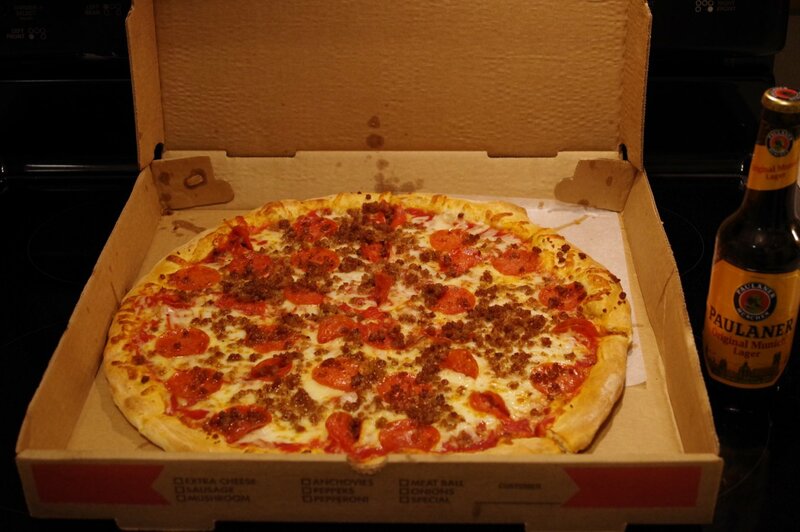 Not buying 3K because it is a national pizza day. That pizza could use some bacon.
" How do I love thee, let me count the ways "
I think I just overdosed on bacon. but are you smiling while doing so ?? 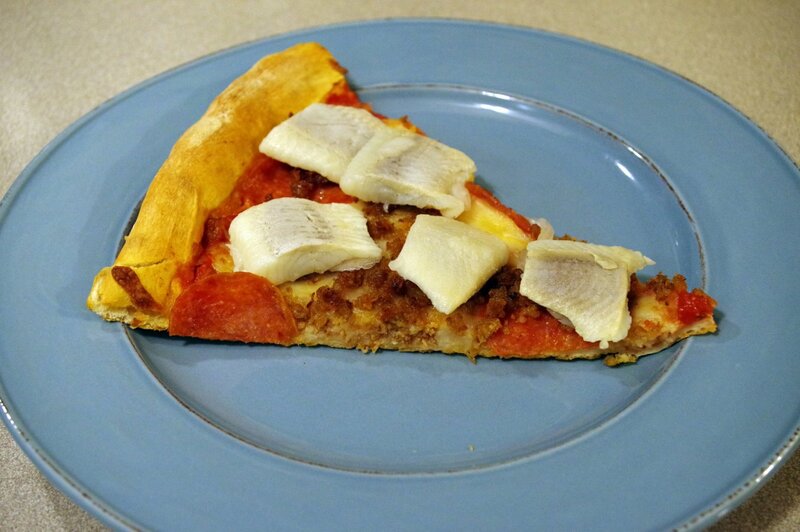 A thin crust pepperoni and sausage from my local pizzeria "Nicolletti`s"
I did kick it up a notch however... with some pickled herring There should be a tag for "pickled herring pizza"
There should be a tag for "pickled herring pizza"
All times are GMT -7. The time now is 07:56 AM. | See also: NikonForums.com, CanonForums.com part of our network of photo forums!